We help marketing service providers deliver deeper, broader, more strategic and longer-term solutions to their customers. BlendedBusiness helps companies with Fortune 500 clients and prospects create better-integrated marketing by helping them develop and implement innovative business and marketing strategies. 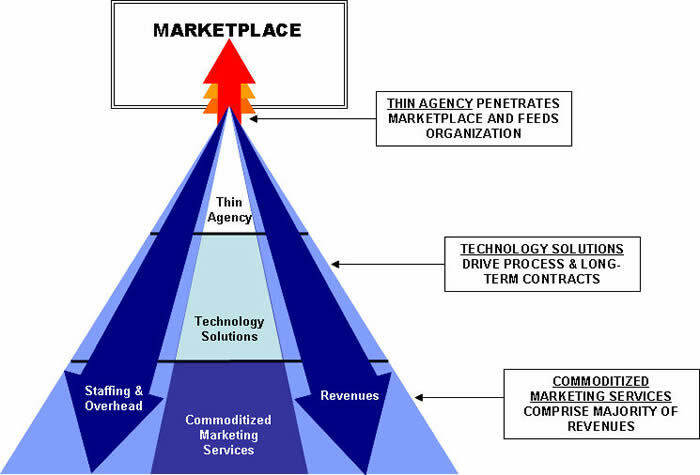 Most of our consulting customers are below-the-line marketing service providers (i.e. POP companies, digital signage, database companies, etc. ), and many focus specifically on retail marketing solutions. As part of our concept, we often help these companies to offer a broader scope of services -- by blending them with other partner companies. BlendedBusiness also helps its consulting customers enhance their businesses by making innovative enhancements to their existing models, upgrading their positioning, crafting their marketing strategies, and identifying logical business partners and acquisition candidates. Ultimately, we help our clients to position themselves to compete against large, national players. First, we help you add a consultative layer to your company. No more selling from a price sheet; now you'll bring thought leadership and sell solutions to your clients at a higher executive level..
Third, the technology solutions you provide to your clients generate reliable, profitable commodity work to your organization.